Artburst is Chattanooga's month-long celebration of art, artists, and the blooming of color in spring. Every week you'll find events and destinations designed to stimulate the senses and bring new color and energy into the city. Songbirds Foundation is proud to partner with Dogwood Arts, Epiphone Guitars, and the Rhythm N’ Blooms Music Festival to host the opening exhibit of the 2019 Epiphone Guitar Design Contest. In January 2019, high school and middle school students from across East Tennessee submitted hundreds of designs, and 20 students were selected to paint guitars for this year’s exhibit and auction. These one-of-a-kind guitars will be on display at the Songbirds Guitar Museum for the month of April. On the first Thursdays of the month this spring, check out Chattanooga’s newest reason to be happy at Alley Hour sponsored by HUTTON, Market City Center, Tinker Ma, Inc. and Lamp Post Properties. While Alley Hour will fill Cooper’s Alley with live music by Rick Rushing & the Blue Strangers, businesses along the corridor will feature alley hour specials. Black Fridays is a series of festival-like events focused on economic development within African American communities. The events will provide space for Black-owned businesses, entrepreneurs, and artists to engage, empower, and educate in return improving the overall economic landscape of the greater Chattanooga area. Come experience a glimpse into a working artist studio, engage with art enthusiasts in our community, and watch demonstrations across a variety of mediums. Ooltewah High School art department students will present their senior art exhibition in the WorkSpace Gallery, and Erica Kurktchi is the featured artist in the ArtSpace Gallery on the 2nd floor. Guest artists will fill the hallways and common areas on each floor. Delicious hors d’oeuvres will be served by Dish T’ Pass. This is a family friendly event & admission is free! Join Bob Bernhardt and cast members from the CSO's production of “Carmen” for a lunchtime musical preview. You'll hear some of opera's most popular and famous music, including “Carmen's” "Habanera," Escamillo's "Toreador Song," Don Jose's "Flower Aria," as well as the ensembles that make “Carmen” one of the greatest operas ever written. This event is free and open to the public. The Chattanooga Film Festival loves everything about cinema: the films, filmmakers and audiences; the critics, collectors and curators; and most especially the popcorn. 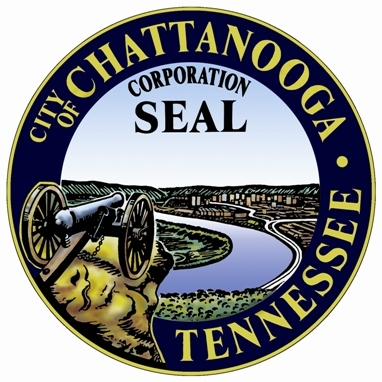 The first ever Chattanooga Film Festival was held in 2014, and has been quickly making a name for itself among film-lovers, filmmakers, and the film industry. An essential part of Chattanooga’s creative capital, 4 Bridges Arts Festival (4BAF) cultivates and inspires an appreciation for the visual arts by creating opportunities for exchange between working artists and the public. The festival will begin with the Preview Party, a ticketed, gala-style event scheduled for Friday, April 12. The festival officially opens to the public on Saturday, April 13 and continues through Sunday, April 14. Highly-anticipated and culturally-prominent, 4BAF is a juried art show that receives applications from visual artists from across the country. More than 450 artists from 35 states submitted applications. The festival will showcase the distinctive talents of 130 artists and offer $10,800 in cash awards to artists selected by the 2019 jury panel. Dramatic read-alouds of the best kids' books out there, interactive large scale art installations, gardening, painting, soccer, bubbles, and chalk all afternoon long. Come play with us! As part of the temporary exhibit lasting until May 12, the museum is offering visitors opportunities to interact with and understand indigenous groups. The event will highlight Native American artists that will share their traditions through different art forms. Artist in Residence : Choctaw beadwork with Sally Wells. The theme of 2019 Earth Day is “Species Preservation”. We are seeking creative art work made from only recycled materials featuring your favorite animal. Artwork will be on display for People’s and Judge’s Voting & Awards! People will have the chance to "Vote" by placing money into voting boxes next to each entry. Live music, food trucks, art, beer+wine tent, and more; sculpture burning should begin around 9:15pm. Katy Light, a master fiber artist, will teach participants all about the art of solar dyeing. Solar dyeing involves infusing fibers with vibrant colors using natural materials and solar energy. Not only will participants learn the process to recreate easily at home, but they also will take home a jar with fibers and natural dyeing materials.